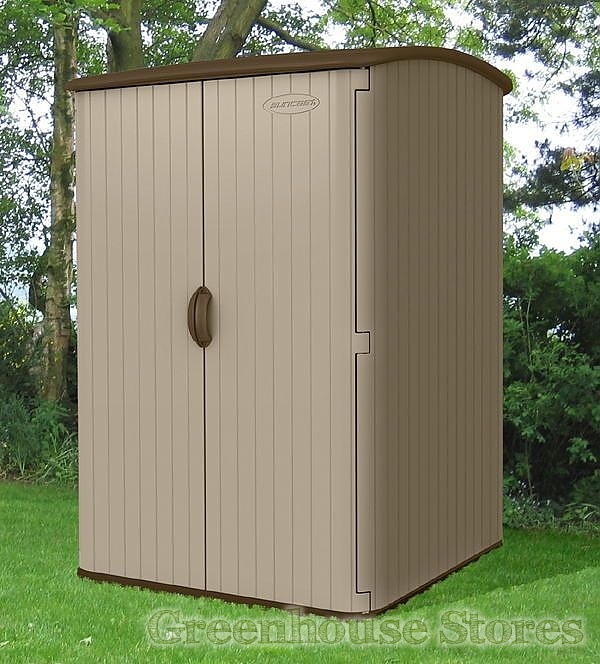 1430mm (4ft 8") Wide Plastic Shed - Practical shed design. Double Skin Walls - Durability. 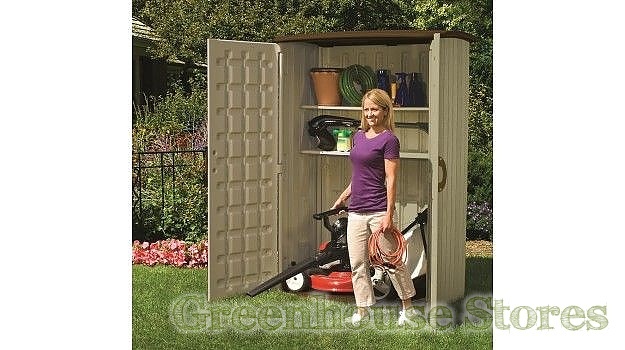 The Suncast 5x4 Conniston Three Plastic Garden Shed has large double doors to give access to 98 cubic feet of storage. 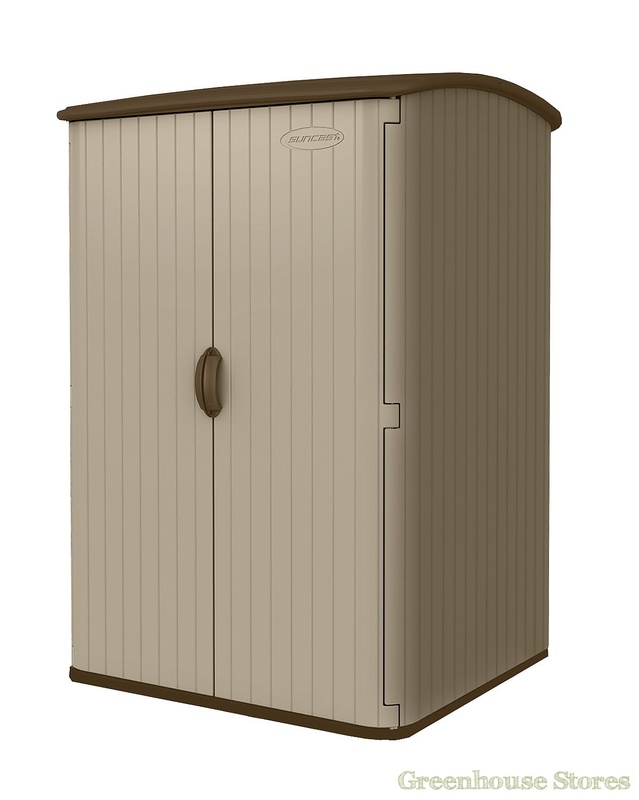 The Suncast 5x4 Conniston Three storage building features 1.5" thick double walled construction and a reinforced floor to give extra durability. The 6x4 Garden Building Floor Kit is the most cost effective and simple way of providing a level floor for your Garden Building. The 6x4 Garden Building Floor Kit comes with a simple to construct click together system complete with water permeable membrane to provide essential drainage for your building, which helps stop moisture creeping into timber whilst also keeping the weeds at bay. 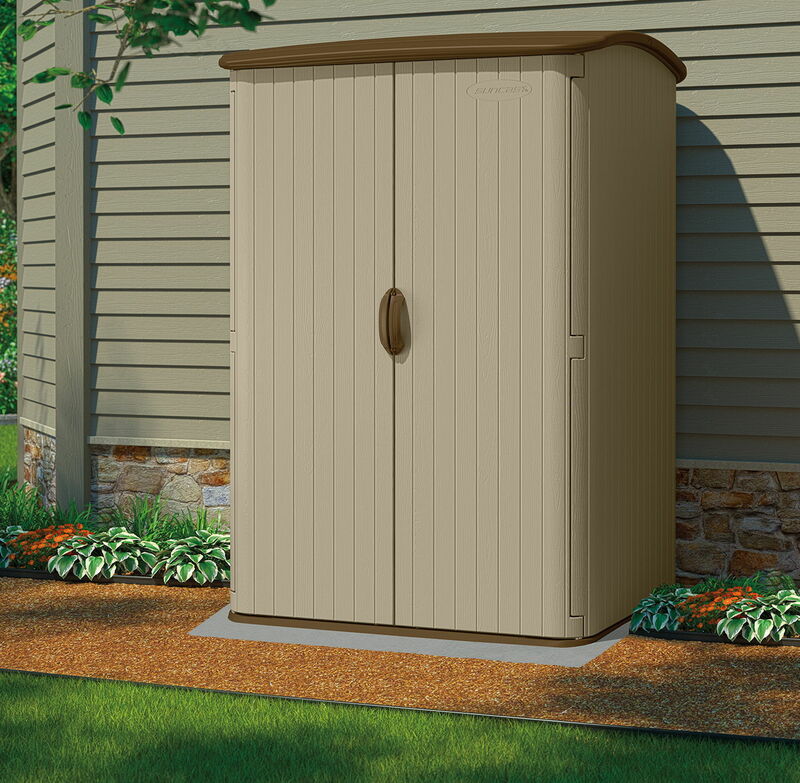 Quick and easy preparation means no waiting times for concrete to dry and the high load capacity means that you can site even Residential Log Cabins on top of it!.